In Part 1 of this series on sustainable procurement, I laid out my vision of the heart of a sustainable, green supply chain that runs through its procurement function. It’s simple to show how every product has a hidden human health, environmental and social impact along the entire supply chain. However, it’s been challenging to bring sustainable procurement into a central decision making role in line with organizational business goals. The results to date have been a mixed bag, as I alluded to when I mentioned Aribas new Vision 2020 report and companion dialoguing process, now underway. 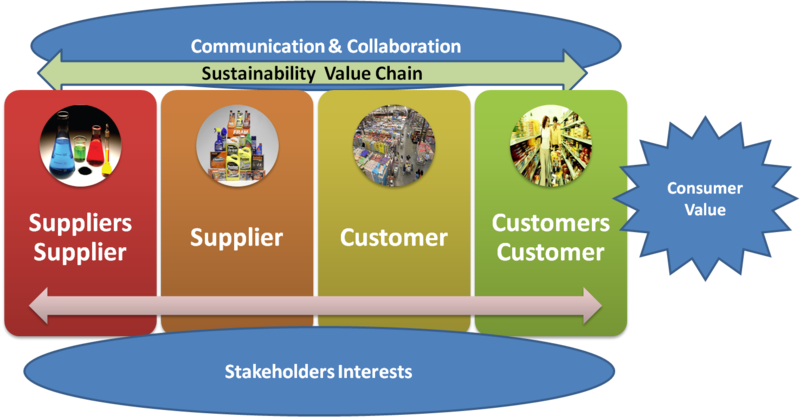 Sustainable Procurement: back to management! On the heels of the Ariba effort comes a promising benchmark report recently released by HEC-Paris and Ecovadis. Entitled “Sustainable Procurement: back to management!” this study (available for download on Ecovadis’ site) has risen to rescue and tempered my fears of devolving sustainable procurement. 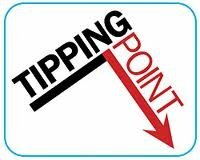 In fact, the report may suggest a positive “tipping point” in favor of sustainable procurement. The efforts behind the 2011 edition of the HEC/EcoVadis Sustainable Procurement Benchmark were carried out between the fall of 2010 and early 2011. This benchmarking process started in 2003 and the 5th conducted since that time. 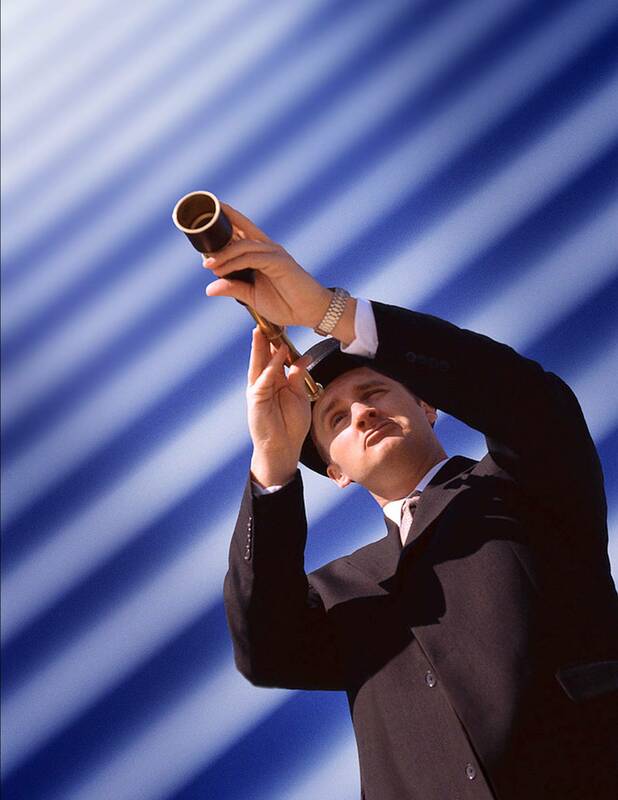 How has the vision of the Chief Procurement Officers (CPOs) evolved? What tools and initiatives seem to be the most effective over time to drive changes? 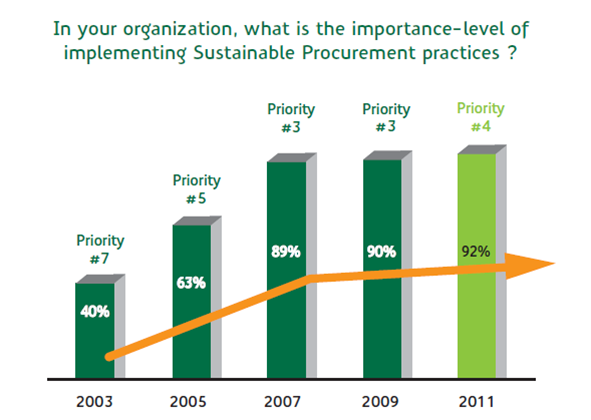 How is Sustainable Procurement progress measured? 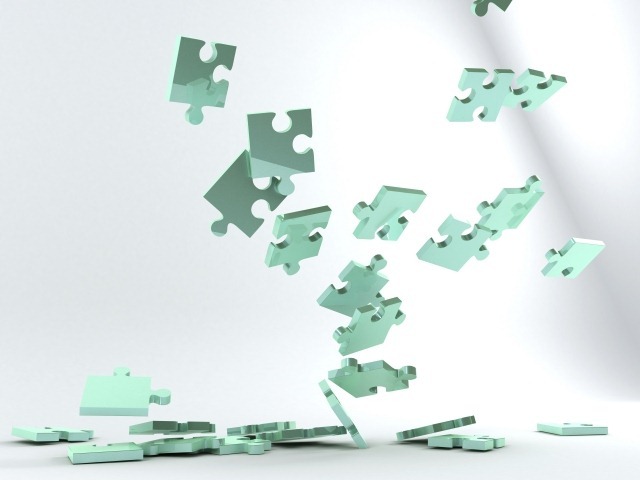 What are the remaining challenges faced by most Procurement organizations? The study identified three main drivers behind Sustainable Procurement initiatives: Risk Management, Value Creation, and Cost Reduction. These findings mirror some of the trending areas and critical issues identified in the Ariba report. HEC and Ecovadis suggested that these three drivers’ shows that many organizations are now facing new expectations in terms of Corporate Social Responsibility and Sustainability from the Procurement Departments of their clients and, suggest that having a sustainable procurement program in place can become a competitive advantage. 92% of the surveyed Companies consider Sustainable Procurement a “critical” or “important” initiative, even though for the 1st time this year, “Risk Management” took over as a priority initiative. The major progress made in 2011 is on the support from the Top Management (+24%) thus demonstrating that Sustainable Procurement is attracting more and more interest from Executive Committees, and significant progress was made in implementation of tools and organizational changes. Significant organizational changes have been implemented: 45% of companies already have “dedicated teams” and 57% report having trained a majority of procurement staff on Sustainability. Whereas in 2007 only 1/3 of companies were using formalized methodologies for assessing their suppliers’ sustainability performance, in 2011 two-thirds of them are now implementing dedicated tools (either internal or leveraging 3rd parties). Finally 92% companies have increased (56%) or maintained (36%) their budgets related to Sustainable Procurement, which should yield more changes in the future years. The HEC/Ecovadis study found that basic tools such as “Suppliers Code of Conduct” , “CSR contract clauses” and “Suppliers self-assessment“ were now the rule rather than the exception among companies surveyed by a ratio of 2 to 1, but interestingly were still found to limited value in terms of risk management. What I found encouraging was that the study found maturation in the types of tools used, including “Supplier Audits” and “Supplier CSR information databases“. This type of work has clearly been evident in what I have reported in the past, especially among multi-national companies with contractor manufacturing operations in developing economies (like China, India and Brazil). These advanced tools offered more opportunities for suppliers to engage directly with buyers, allow for data verification, and offer direct recommendations for supplier CSR and sustainability improvement. Over half of the companies surveyed had advanced to this next level. Finally, when asked what the most effective uses of resources were in developing a Sustainable Procurement Program, respondents mentioned 1) top level support, 2) creation of cross functional teams and 3) training, as key success ingredients. All three of these success factors had shown substantial improvement over the past several benchmark cycles, according to the study. This is not the first study that has come along that demonstrates value and return on investment from sustainable procurement. I wrote earlier of a joint study by Ecovadis, INSEAD and PriceWaterhouseCoopers that demonstrated similar results. In that study, payback from most green procurement activities was huge. Companies surveyed were able to benefit quickly from risk management reduction and potential revenue growth opportunities, due in part to sustainable procurement. The study also found that there were additional ‘value creation’ opportunities that could be realized if procurement departments collaborated more closely with the marketing and R&D departments upstream on the projects. 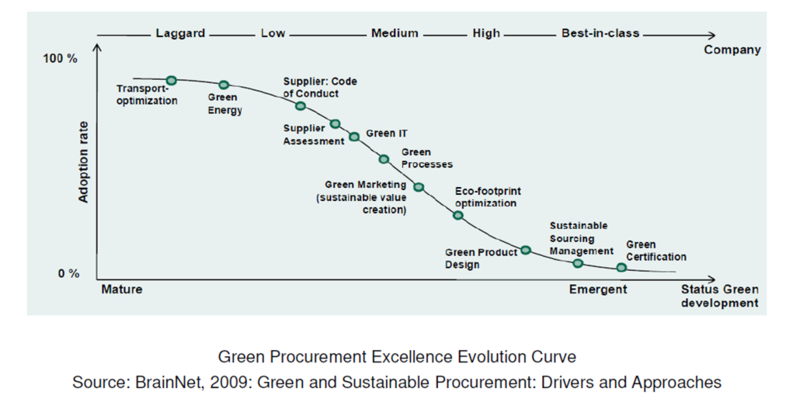 Also, a study in 2009 by a company named BrainNet (Green and Sustainable Procurement: Drivers and Approaches”) looked at sustainable procurement and value creation and found that “… procurement with an ecological and social conscience is not a cost factor, but a value factor…Companies that pursue a consistent approach to green and sustainable procurement receive an above-average return on capital deployed.” The study produced what they describe as an “evolution curve for sustainable procurement” that describes the maturity of various approaches of sustainable procurement. This curve compares well with the most recent EcoVadis/HEC findings and suggests that there may be a widening gap between leaders and laggards. Sustainable ‘green’ procurement embraces a holistic approach, one that encompasses organization, people, process, and technology to create greater product value along the entire supply chain. This type of value creation can managed by establishing firm triple bottom line based metrics from upstream suppliers to downstream users and using the procurement function to support product and process innovation and accounting for total cost of ownership (TCO). According to the most recent HEC/EcoVadis benchmark report, it is clear that new green and social business models depend upon innovation, and a gap still among many organizations to implement a truly Sustainable Procurement vision. This was clearly in evidence by the lack of mentions by Chief Procurement Officers that I discussed last week in the Ariba study. “1. Communication activities: Building awareness among employees regarding the approaching change, the benefits and the steps to be implemented. 2. Training and Performance support: ensuring that the initiative is being understood among those who are to execute the change or be part of it, and leading to buy-in of the key stakeholders. I’m going to say it again…and again. All sustainable business roads lead through the procurement function. The procurement function is the perfect nexus and a critical organizational player that touches product designers, engineers, multiple tiers of suppliers and subcontractors, manufacturing operations, logistical warehousing and distribution and the end users. Yes indeed, things are looking up for sustainable procurement…it’s ‘game on’. As we approach the mid-point in 2011, the tea leaves of the economic recovery have ‘sustainability’ in supply chain planning and management firming up as a key “rebuilding” block in company activities. Two recent studies from two different continents bear that notion out. First, consultancy BearingPoint Ireland has released a report which says two-thirds of companies surveyed in Europe believe that a green supply chain is a strategic priority. The report, entitled Green Supply Chain: from awareness to action, is the fourth of a series of “supply chain monitors” from the private consultancy. The study was conducted among about 600 European decision-makers by Novamétrie between 2010 and 2011, with a position within Supply Chain, Sustainable Development or Industrial Divisions. Key industries captured includes: consumer goods, transportation, construction, automotive, industrial goods, retail, energy and utilities, chemicals, IT/electronics and pharmaceuticals, among others. 70% of surveyed companies declare that green Supply Chain is a true economical lever. For 47% of the companies, the return on investment of a green Supply Chain is reached within 3 years. More than half of European companies now use environmental criteria to assess their Supply Chain performance: share of recycled packaging material, CO2 emissions. Two-thirds of companies adopted or plan to adopt a green policy for their purchases. Over half of the respondents in the survey said they did not renew contracts with suppliers who did not respect their green charter. 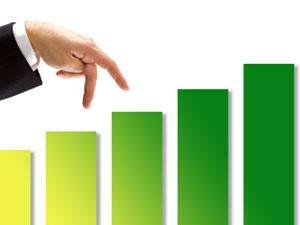 Buyers are preferably choosing suppliers with certified processes such as ISO 14001. The Bearing Point study made a statement that caught my eye and for which I wholeheartedly agree. Identifying with a systems-based mindset that recognizes the intrinsic and realized value sustainability-focused business management is a critical fulcrum for green supply chain practices. 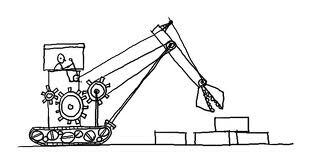 I noted in a post last fall that The Fifth Discipline and The Necessary Revolution author Peter Senge argued (in the October Harvard Business Review) that to make progress on environmental issues, organizations must understand that they’re part of a larger system. Senge also makes a great point that companies will be in a better competitive position if they understand the larger system that they operate within and to work with people you haven’t worked with before. I’ve cited companies like Hewlett-Packard and Danisco as supply chain innovators in their product sectors. These companies, among other innovators like Intel, P&G, IBM, GE and others, who’ve viewed supply chain in a systematic or holistic manner, organizations successfully have been applying that “big-picture thinking” needed to be truly innovative. Doing so can create leverage points that companies never realized they had before with their suppliers. Clearly, the environmental (and often the social) footprint of a product extends beyond the four walls of the company who “brands” the product. This footprint extends upstream and downstream, and must capture, control or influence inputs and outputs all along the way. Some of the largest footprints (like energy and carbon) lie upstream or in the final hands of the consumers. This is why leading companies are rethinking the global extents of their supply chains, exploring local sourcing options and implementing other operational efficiencies. The results of the recent surveys indicate that companies in a wide number of sectors are waking up to the fact that sustainability is more than business innovation- it’s business intelligence. 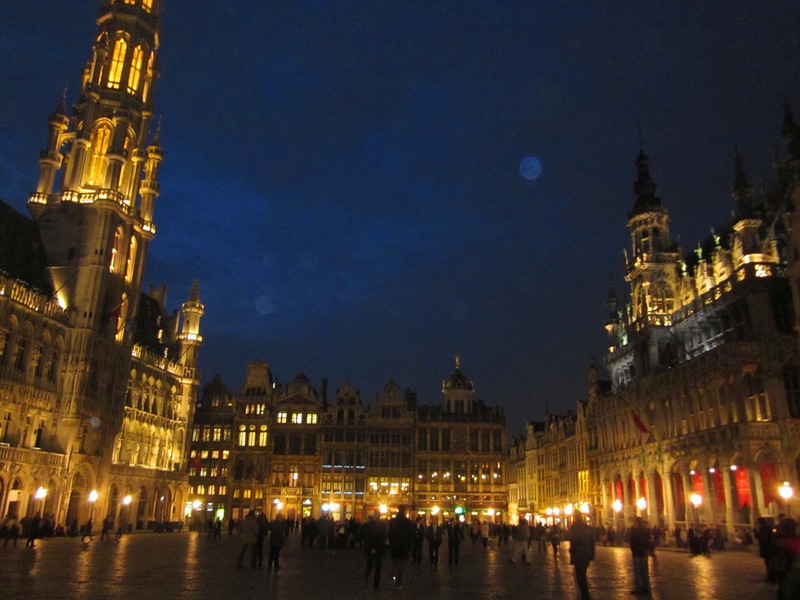 Last week, I was honored to be the dinner keynote speaker at the European Petrochemical Associations 2nd Interactive Supply/Demand Chain Workshop in Brussels, Belgium. What a beautiful place, where cobblestones meet bullet trains- two completely differing eras of transportation systems still working (collaborating?) after all these years. This years’ workshop theme was “21st Century Supply Chains for the Chemical Industry”. 2011 has also been declared by the United Nations Educational, Scientific and Cultural Organization (UNESCO) as the International Year of Chemistry (see the EPCA’s cool new video, “Chemistry- It’s All About You” here). Throughout the highly interactive, roll up your sleeves workshop, the dialogue centered on innovative tools and value-added approaches to drive supply chain sustainability. Discussion focused on how the chemical industry and its supply chain can support an evolution from the old linear, materials economy mindset to a more circular, systems based sustainability minded economy, as Annie Leonard describes in the Story of Stuff. As a matter of fact, that short film was the lead-in to my speech on supply chain sustainability and the nexus with consumerism, and the important role of chemical industry and its supply chain. As I noted in last week’s post, consumer demand appears to be contributing (at least in part) to some of the gains in eco-friendly and sustainability focused design and manufacturing progress that’s being made in the global marketplace. In addition, shipping and logistics partners are showing leadership in embedding sustainability in the “source, make, deliver and return” product value chain as well. The 21st Century Supply Chain is a rapidly evolving business landscape. Prior to around 2005, the supply chain landscape centered on vertical collaboration between subsequent actors in the same supply chain, or between suppliers, manufacturers and customers. Since the mid 2000’s, collaboration has refocused along the horizontal axis. What appears to be happening is more evidence of collaborative exchanges between companies in the same market, or alliances, partnerships, clusters, and networked organizations. This represents a real paradigm shift” that collaboration between producers, service providers and their customers. Another older term coined in the mid 1990’s, “co-opetition” (or cooperative competition), may now find its place in the 21st century supply chain lexicon. 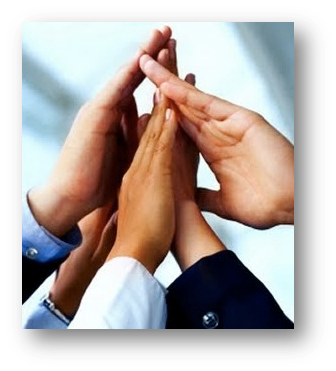 Co-opetition occurs when companies work together for parts of their business where they do not believe they have competitive advantage and where they believe they can share common costs. The basic premise of co-opetition strategy relies on leveraging alliances, partnering with other shippers (even competitors!) to control logistics and transportation costs. In “games theory, this would be called a “plus-sum” scenario, in which the sum of what is gained by all players is greater than the combined sum of what the players entered the scenario with. For instance, co-warehousing or load consolidation in transportation and warehousing are straightforward examples where collaborative competition has enormous financial and environmental benefits. Co-opetition can in effect lead to expansion of the market and the formation of new business relationships, perhaps even the creation of new forms of enterprise. At the same time, though for co-opetition to be truly sustainable, there must also be a cultural fit, strategic fit, economic and operational fit, and, trust and resources. 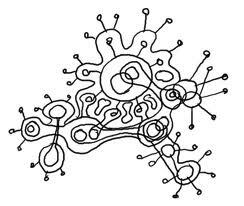 Co-opetition implies that cooperation and competition merge together to form a new kind of strategic interdependence between firms, giving rise to a co-opetitive system of reciprocal value creation. This new era of globalization has opened the door to co-opetition for small to midsized businesses that lack the scalable resources that larger companies have. So this makes me think that if competition is a key driver behind innovation, and collaboration is a key 21st Century supply chain success factor, then collaborative competition (co-opetiton) may be a new solution to drive supply chain sustainability. I posed this theory to a warm response by the 65-plus chemical industry logistics professionals in Brussels. Yes, it’s a bit of a heretical idea, but one that has shown in some industries to work. Take Proctor & Gamble’s Connect + Develop or Nikes Considered Design and the Environment open innovation models. Both offer opportunities to collaborate and drive innovative solutions that can benefit consumers, and open business channels to entrepreneurs lacking resources to bring new (possibly more sustainable) products or processes to market. By collaborating, customer-supplier teams can address Triple Bottom Line (3BL)-related technical challenges that affect the profitability and performance of the overall supply chain. By sharing intelligence and know-how about 3BL issues & emerging technologies. By incorporating 3BL advantages into their products and services, e.g., reduced cost of ownership. What ideas do you have to forge new links in the sustainable supply chain? Let’s start the collaboration now, shall we? Geesh. You’d think by the Twitter chatter that erupted from this weeks article in the Environmental Leader that the sky was falling. The headline “Supply Chain Chiefs: Sustainability Isn’t Key” caught readers’ attention, but perhaps the messaging was taken a bit too negatively. Because the principal question posed was “what are the biggest challenges that supply chain managers’ face”, I’ll go out on a limb to say that “first mover” supply chain managers are already getting a handle around this issue and maybe the “concern” level is not as great as in the past. In fact, the survey results suggested that in the past couple of years, organizations are generally acting in a more proactive, sustainable manner. As the survey went on to indicate, well over 60 percent of those companies surveyed had implemented or were initiating sustainability focused efforts in 2010- ranking around 10th out of nearly 40 supply chain management project categories- that’s actually a pretty good number! In the logistics survey, most respondents noted a far higher level of positive environmental performance in 2010 compared with 2009. You see- it’s all about how you look at a situation- greening of the supply chain through sustainability is not looking too shabby in my book, compared to just a few years ago. If I had to call foul on the two surveys, perhaps EFT erred in recognizing sustainability as its own category. Perhaps that was by design, but given the embedded nature of sustainability, I could easily link sustainability with a number of other categories that did rank high on supply chain officers “concern” lists, namely: cost containment and transportation and logistics constraints; also lower ranked issues such as product lifecycle, government mandate compliance. In reality, sustainability is an overarching business approach that cuts across many business silos. Supply chains by nature are systems-based networks that require dynamic management of internal and external inputs and outputs throughout a products value chain. Supply chain sustainability is a powerful tool to identify and manage supply chain inefficiencies, reduce waste and optimize business performance. As I suggested in an earlier article, the supply chain enablers are those who lead through innovation and don’t procrastinate. These organizations have vision– for the short term and long-term. These are the organizations I spend time evaluating and from which I share success stories. It’s still valuable though to understand why some businesses hesitate in acting on sustainability or supply chain greening. If you are a supply chain officer or logistics manager that is not paying attention to sustainability focused innovators yet, I suggest you take a closer look at what your peers or competitors are doing. These leaders are changing the way business gets done- and more sustainably I might add. Clearly by the EFT survey, much more work remains in 2011 but I am confident that supply chain greening and sustainability is here to stay. Read why on my last post “Five Reasons that Sustainability and Supply Chain “Greening” Will Stick in 2011”. Big Industry Movers and Government Green up the Supply Chain- over the past year, observers and practitioners read nearly weekly announcements of yet another major manufacturer or retailer setting the bar for greener supply chain management. With a much greater focus on monitoring, measurement and verification, Wal-Mart, IBM, Proctor and Gamble, Kaiser Permanente, Puma, Ford, Intel, Pepsi, Kimberly-Clark, Unilever, Johnson & Johnson, Herman Miller among many others made a big splash by announcing serious efforts to engage, collaborate and track supplier/vendor sustainability efforts. Central to each of these organizations is how vendors impact the large companies carbon footprint, in addition to other major value chain concerns such as material and water resource use, and waste management. Even government agencies here in the U.S. (General Services Administration) and abroad (DEFRA in Britain) have set green standards and guidelines for federal procurement. More and more companies are jumping on the green train and the recognition is flowing wide and deep. 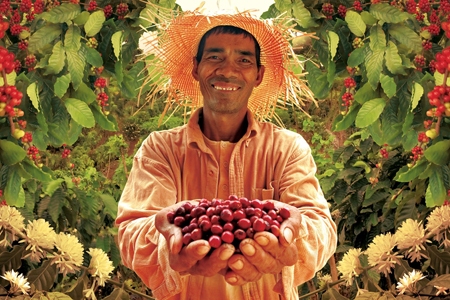 Supply Chain Meets Corporate Social Responsibility- Adding to many companies existing concerns over environmental protection, large products manufacturers such as Nestle, Corporate Express, Danisco, Starbucks, Unilever and the apparel industry stepped up in a big way to address human rights, fair labor and sustainable development in areas in which they operate throughout the world. Each of these companies and others like WalMart have embraced the “whole systems” approach that I’ve previously written about in this space and that underscore transparency and collaboration the “value” in the supply chain. Each company recognizes that to be a truly sustainable organization, it must reach deep beyond its four walls to its suppliers and customers. Emerging Sustainability Standards Embrace Supply Chain Management- This year, the international Organization for Standardization (ISO) unveiled its ISO 26000 Corporate Social Responsibility guidance document. In addition, two prominent organizations, UL Environment and Green Seal unveiled and vetted two sustainability focused product (GS-C1) and organization (ULE 880) standards, both of which may markedly affect supply chain behaviors in the future. Central to all these standards and guidelines is how important supply networks are in supporting the entire product ‘value chain”, not only from an environmental perspective, but from a social and community focused perspective. Transparency and Collaboration Take on a Green Hue– in April, I had the honor of addressing C-suite supply chain managers and practitioners at the Aberdeen Supply Chain Summit in San Francisco. A central theme of this conference involved the critical importance of collaboration throughout supply networks to enhance efficiencies and optimize value. My talk (linked here) focused on how the most successful greening efforts in supply chains (like those used by Unilever, Herman Miller and Hewlett Packard) were based on value creation through the sharing of intelligence and know-how about environmental and emerging regulatory issues and emerging technologies. Suppliers and customers can collaboratively strengthen each other’s performance and distributing cost of ownership. Practitioners have found “reciprocal value” through enhanced product differentiation, reputation management and customer loyalty. And the continuing Wikileaks controversy is boldly reminding the business world that accountability and transparency and corporate social responsibility is vital and may even be a game changer in how products and services are made and delivered to the global marketplace. 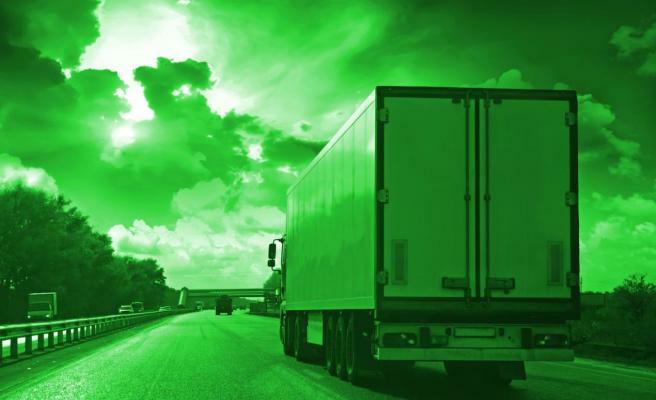 Logistics Turning to Greener Solutions– numerous studies and surveys conducted by peer organizations this year underscored how sustainability among carriers and shippers was central in the minds of most logistics CEO’s. Whether it was by land, air or sea, shipping and logistics embraced sustainability as a key element of business planning and strategy in 2010. I also had the pleasure of visiting briefly with FedEx’s Vice President, Environmental Affairs & Sustainability (@Mitch_Jackson) this fall and learned of the myriad of operational innovations and sustainability focused metrics that the company is tracking throughout its operations and maintenance activities. And UPS even mentioned its efforts to manage its carbon footprint in its catchy new brand campaign “I Love Logistics”. Finally logistics companies are partnering with manufacturing to support reverse logistics efforts designed to manage end of life or post consumer uses of products or resources. Lean Manufacturing Meets Green Supply Chain– as manufacturing continues its slow rebound from the Great Recession, companies are recommitting themselves to implementing less wasteful production as a way to leverage cost and enhance savings. Parallel efforts are in play also to incorporate more environmentally sustainable work practices and processes. Enhancing this effort to lean the product value chain is recognition of upstream suppliers and vendors work practices and possible impacts they may have on manufacturing outputs. Lean efforts have been demonstrated to yield substantial environmental benefits (pollution prevention, waste reduction and reuse opportunities) as well as leverage compliance issues. More and more, companies are exploring the overlaps and synergies between quality-based lean and environmentally based ‘green’ initiatives. Supply Chain and Climate Action– Rounding out the year, the climate summit in Cancun (COP16) produced modest results (given the low expectations all around, what was accomplished looked huge by comparison to Copenhagen). Activities at COP16, especially by the private sector were geared toward identifying key linkages between supply chain sustainability and climate change. Perhaps the biggest news to emerge from the two-week conference was an effort by apparel manufacturers to enhance supply chain social responsibility and an internet database that will list the energy efficiency of most ocean-going vessels, in a scheme designed to reduce shipping emissions by nearly 25%. As I noted, this effort is important not only because it recognizes shipping and transport as a backbone” of commerce (as other industry sponsored programs have recognized already), but because of the value of transparency in enhancing supply chain efficiencies. Yes indeed, it’s been a big year for supply chain management and its intersection with sustainability. I see little for 2011 that will slow down this upward green trajectory, and naturally I am glad. I am glad that more businesses “get it” and don’t want to be viewed as laggards in leaning towards a business ethic that values sustainability and socially influenced governance. I am glad that more companies are seeking out green innovation through new technologies and being ‘first movers’ in their respective business spaces. And I am glad that you (my readers) and I am here to be part of the change. In prior posts I have discussed the importance of transportation and logistics as critical elements in anchoring a sustainable supply chain (see separate posts here and here). Last week I discussed the key linkages between supply chain sustainability and climate change. No comes a bit of encouraging news from the Cancun Climate Summit (COP16), still in progress through this week. A free internet database was announced over the weekend, the focus of which will list the energy efficiency of almost every ocean-going vessel, in a scheme designed to reduce shipping emissions by nearly 25%. This effort is important not only because it recognizes shipping and transport as a backbone” of commerce, but because of the value of transparency in enhancing supply chain efficiencies. “By eco-labelling clean and dirty ships, we hope to change the mindset in shipping and begin making gigaton-scale reductions in emissions,” said Peter Boyd, director of Carbon War Room. The Carbon War Room was a co-founded by Sir Richard Branson. Using publicly available data on the engine size and CO2 emissions of nearly 60,000 ships, exporters and importers, as well as holidaymakers on cruises, will be able to choose between ships that run on cleaner fuels and have other technologies designed to reduce environmental “loads”. The initiative, called Shippingefficiency.org, rates ships on a scale from A to G in a similar fashion to ratings given to fridges or washing machines. According to the site, the Energy Efficiency Design Index (EEDI) ratings for an individual ship are calculated by assessing the values for that ship to overall average values for all ships of that type (e.g. bulk carriers) and to other ships of a similar size within this type. It will “allow supermarkets, oil and mining companies, food importers, retailers and manufacturers” to specify that their goods are sent from point to point by the least polluting ships. The shipping industry has been challenged for decades to find ways to efficiently deliver the majority of goods from point of manufacture to point of use. Ocean transport carries more than 90 percent of the world’s traded goods and contributes between 3 percent and 4 percent of global emissions. Shipping has been slow to address carbon emissions, choosing to focus on containment and control of other critical pollutants such as sulfur dioxide (SOx) and nitrogen oxides (NOx). According to the International Maritime Organization (IMO), the UN body that governs shipping, the industry has an opportunity to make substantial money by reducing the first 250 million tons of its CO2e. Also, its shipping-attributed pollution can pose serious human and environmental health risks. For instance, particulate matter emissions from ships have been reported to contribute to an estimated 60,000 premature deaths annually (with most deaths occurring near coastlines in Europe, East Asia, and South Asia), as reported in a 2007 study published in Environmental Science & Technology. Mr. Branson’s announcement in Cancun adds another initiative to the increased attention being paid to the transport industry in managing pollutants, including greenhouse gas emissions. As I recently noted in a recent post on shipping and logistics, Inbound Logistics Magazine earlier this year released its Top 50 Green Partners listing earlier this year. 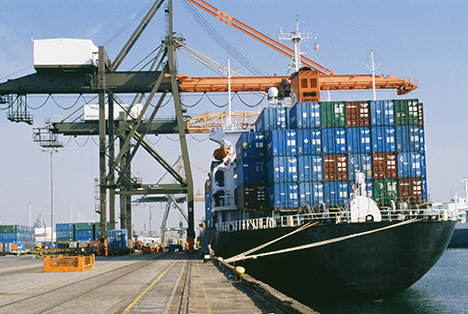 Eight of the companies and organizations listed were ocean carriers. These appear to be true leaders in implementing improved operational practices designed to lower the environmental impact of their operations. Also, back in the early 2000’s, the Business for Social Responsibility (BSR) launched the Clean Cargo Working Group (CCWG). The group consists of over 60% of the leading multinational manufacturers (shippers) and freight carriers and forwarders (carriers). The group is dedicated to” integrating environmentally and socially responsible business principles into transportation management”. Unlike the new EEDI rating, the CCWG methodology is the only existing standardized approach to calculate CO2 emissions for ocean going container vessels. The data is put in the form of emissions factors to enable shippers and liners calculate carbon emissions in a consistent manner. This allows trade routes to be compared. In addition, the CCWG annually benchmarks member lines’ environmental performance, further increasing focus and reducing environmental footprint. Other collaborative efforts that cover other transport modes include EPA’s SmartWay Transportation Partnership, Ecological Transport Information Tool, and the GreenShip Project. Each of these and other transportation-focused groups have made strides in developing tools and methods for different parts of the sector. Reducing emissions is technically feasible using current technology, and, in the case of efficiency measures to reduce fuel consumption, can contribute cost savings that make it economically attractive with appropriate financing of upfront costs. Of those emission reductions, the first approximate 25% of reductions could be achieved “profitability”, according to the IMO GHG Study. Big Players Getting it Done: At a transportation conference convened this past summer by the U.S. Department of Transportation, Federal Highway Administration, Lee Kindberg of Maersk Lines (one of the top 50 Green Partners reported by Inbound Logistics) reported that “… vessels are becoming more energy efficient and reducing emission. This is due to technologies, operations, the speeds we operate at, and the vessel sizes as there definitely are economies of scale. …Since 2002 [Maersk] reduced our CO2 emissions per container per kilometer by 20% and set a goal of an additional reduction of 25% by 2020. In addition Kindberg indicated that the company was switching to a distillate fuel instead of the heavy fuel oil, resulting in sulfur oxide emission reductions of 95%, particulate matter emission reductions by 86% and the NOx emissions reductions by 6% to 12% depending on the vessels. Reducing ship speeds, reducing ship drag, or ballast water optimization and treatment systems has also increased ship efficiencies along with improvements in ship procedures, crew training and performance measurement using independent third party environmental certifications like ISO 14001. The Little (Hybrid) Tug That Can: Major cargo seaports are also collaborating with companies to introduce new technology to comply with stricter air quality regulations. 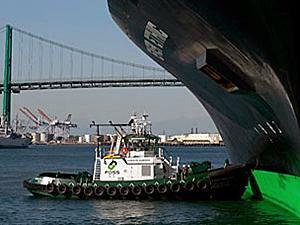 The world’s first hybrid electric tugboat, Foss Maritime’s Carolyn Dorothy which works in Southern California’s San Pedro Bay at the Port of Long Beach, California, emits 73 percent less soot (tugs are known high soot contributors), 51 percent fewer nitrogen oxides and 27 percent less carbon dioxide than a standard tug of comparable size. The tug also can claim improved fuel efficiency and a quieter operation, all contributing to a lower environmental footprint. It’s clear that all the nodes of a supply chain (from design to manufacturing and from point of use to end of life) and all the modal components in between want to be part of the solution, not part of the problem. Businesses are stepping up to the challenge. As we head into the final week of climate negotiations at Cancun, are the world’s climate negotiators up to the task? According to the Carbon War Room, the shipping industry is the largest emitter of NOx and is also one of the largest emitter of SOx. It’s been estimated by the IMO that demand will increase, and CO2e emissions from ships will reach 18% of all manmade Greenhouse gas emissions by 2050 under “business as usual”. The IMO GHG Study 2009 estimates that eco-efficiency technologies could reduce CO2e emissions from shipping by between 25% and 75% with substantial monetary advantages. “Indeed, companies are increasingly being held accountable not only for their own performance in terms of environmental accountability, but also for that of their suppliers, subcontractors, joint venture partners, distribution outlets and, ultimately, even for the disposal of their products. Consequently, poor environmental performance at any stage of the supply chain may damage the most important asset that a company has, which is its reputation. This study underscores the messaging from a great monthly meeting that I attended this week of the Portland Chapter of the Council of Supply Chain Management Professionals (www.cscmp.org). The main topic concerned methods for measuring carbon emissions in the transportation sector. Excluding a full scale life-cycle analysis of the manufacturing of a product, transportation of goods and services represents a key carbon emissions point (second only to the utilities sector). The presenters were from a unique company, GreenShipping (www.greenshipping.com), located in Hood River, OR, at the opposite end of the beautiful Columbia River Gorge from where I live In Vancouver, WA. The Columbia River has itself served as a vital “lifeline” of commerce since the early 1800s, when the Hudson’s Bay Company established quarters just down the road at Fort Vancouver. But I digress. The folks from GreenShipping shared with the audience the key drivers (no pun intended) that are motivating freight transportation companies and logistics providers in a direction to measure and manage their “environmental footprint.” In some cases, companies that don’t measure their carbon emissions are finding themselves shut out of contract opportunities. Research has shown that trucking, rail, marine and air modes of transport all have their up and down sides and it’s best to look at point to point options that will result in lower energy/fuel costs, use of modes that use cleaner fuels (LNG, ultra low sulfur diesel), and generate fewer greenhouse gas emissions (use of larger ships that employ more efficient equipment or operational practices). To that end, the transportation and logistics sector has been proactively looking at ways to improve efficiency, while simultaneously reducing environmental footprints associated with moving goods. This post cannot get into the full range of transport avoidance, operational and technological changes that can be implemented to reduce the environmental footprint associated with moving goods (later posts for sure!). However, as an example, Freightliner Trucks addressed the issue of fuel savings by focusing on more efficient aerodynamics. 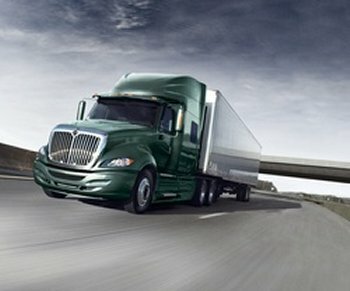 The aerodynamic features to the company’s Cascadia truck result in 7.8 percent to 22 percent less drag than other aerodynamic tractors, resulting in annual fuel savings of $900 to $2,750 per truck. Translate that into carbon emission reductions and the numbers would be enormous. Meantime, there are also a number of tools that are available to assess GHG emissions and other environmental attributes associated with supply and transport, to allow you to accurately capture data and measure the true value of your supply chain. And that is where companies like GreenShipping.com can offer ways to measure and quantify what are called Scope 3 (indirect) carbon emissions. The company can help to ship, track, measure carbon emissions and (and here is a unique feature) offset the carbon generated by shipments through a partnership with the Bonneville Environmental Foundation (http://www.b-e-f.org). It’s also important to throw in that In 2004, the United States Environmental Protection Agency (EPA) launched SmartWaySM— an innovative brand that represents environmentally cleaner, more fuel efficient transportation options http://bit.ly/amztNk. The transportation sector makes great leaps in addressing its environmental footprint, so if you’ve not already started exploring your own environmental footprint, it’s a great time to start leading the way—or risk being a laggard. A key takeaway from yesterday (attended by many logistics providers and goods manufacturers) was that taking a proactive look at supply chain logistics through a “green” lens is good for a company’s bottom line in terms of efficiencies and cost savings. But the residual reputational and environmental upsides are enormous in a challenging and competitive economy. Your thoughts and ideas? What is your company doing to tackle this challenge?